Fully compatible USB powered multi-format twin vibration effect racing wheel, paddle shift, stick shift and foot pedals system to take your race game experience to the next level. All of the games controller buttons and controls are present from your favourite consoles. 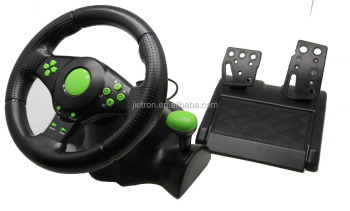 The Turbo GT Racing wheel supports Digital, Analog and Steering Wheel Mode and Vibration Function game play for use with Xbox ONE, PlayStation 3/ PlayStation 2 consoles and Personal Computer via USB connection. 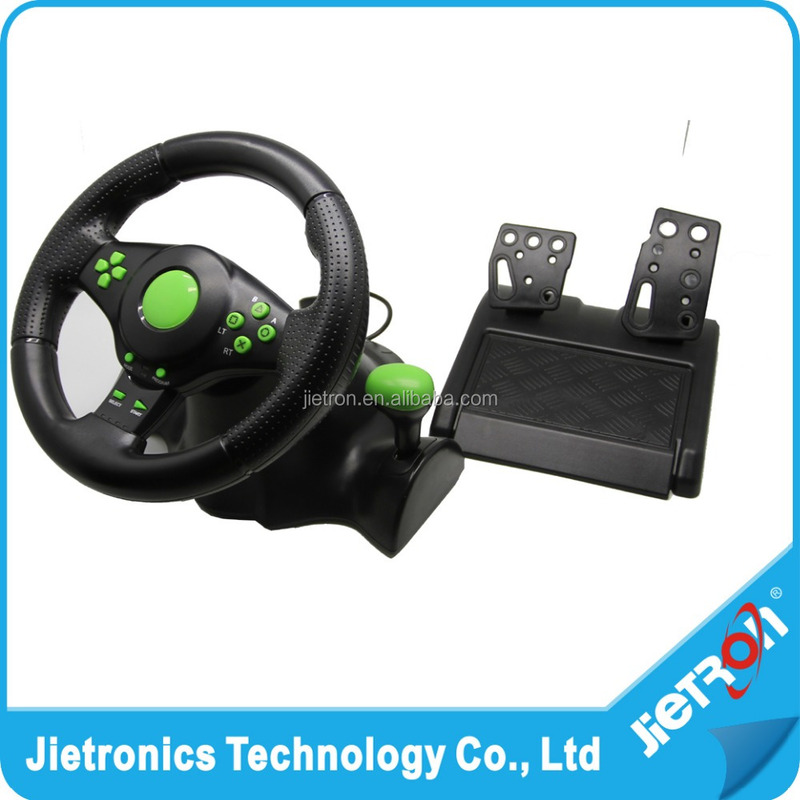 1) 2 axis, D-pad and 10 independent fire buttons are available. 2) Two built-in motors make the control more realistic and lifelike. 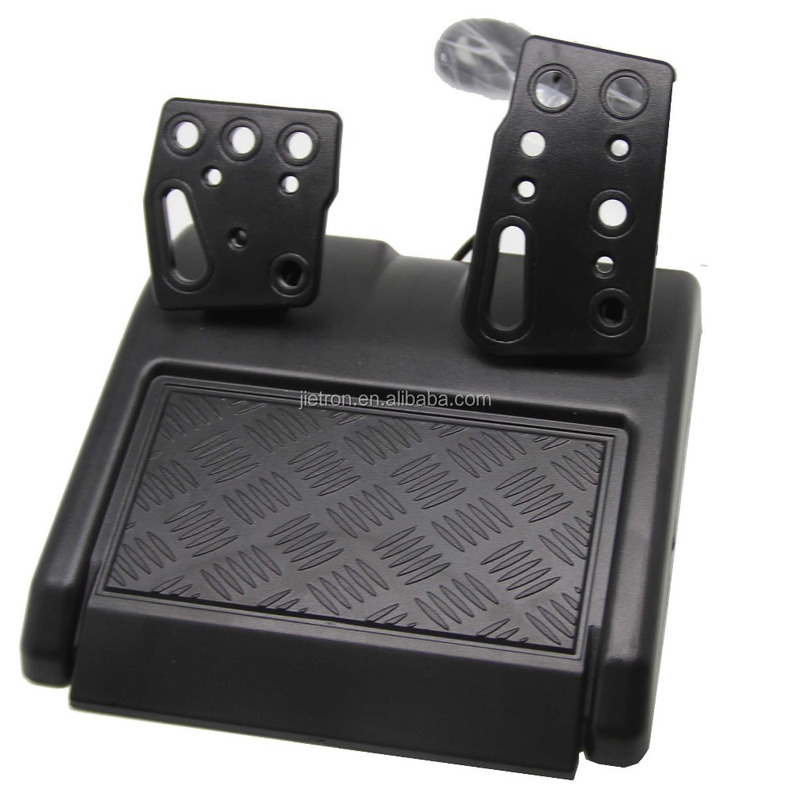 6) Foot pedals are installed with sprung acceleration and brake control. 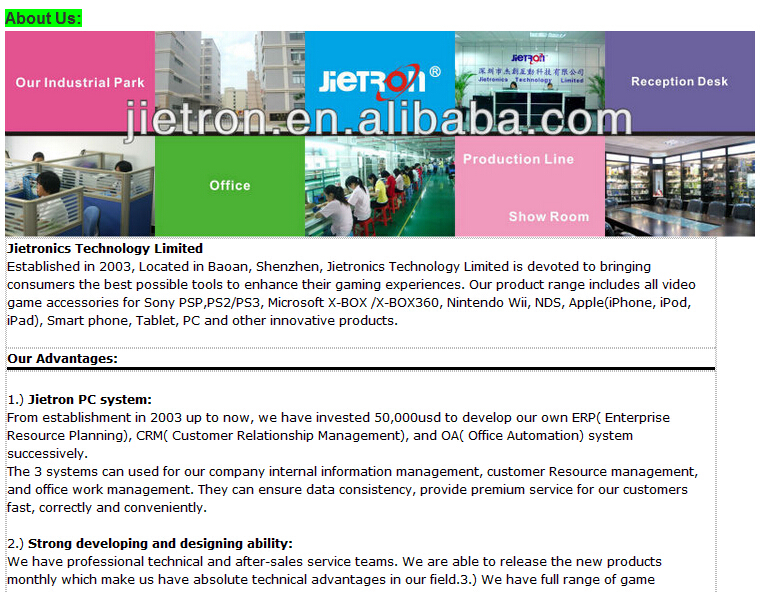 7) Hand brake and shift function is available. 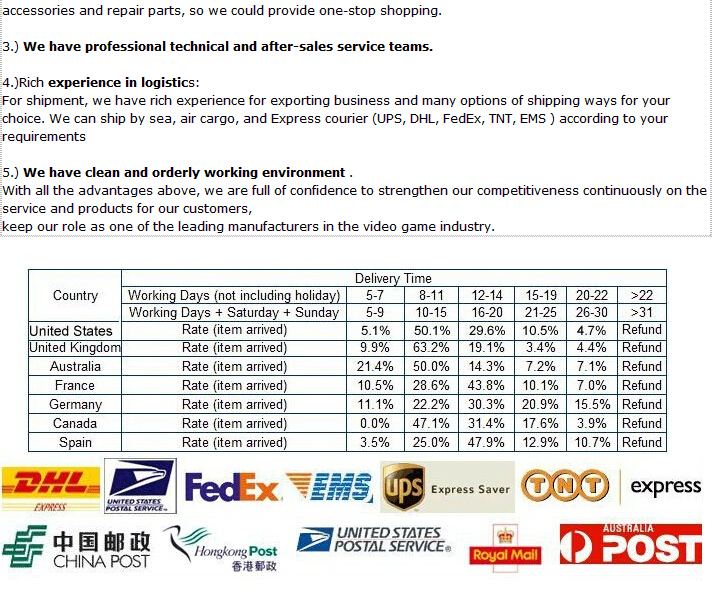 9) Compatible with Xbox ONE/PS3/PS2/PS one and PC (USB port). Adjust the switch to “PS3”, plug the steering wheel USB connector into the PS3 console. When the one of red color channel LEDs lights up, it is ready to be used. Plug the steering wheel PS2 connector into PS2 console.The switch position can be at PS3 or ONE. - Download the corresponding driver from XBOX ONE official website and install it. Install the driver on your computer; plug the steering wheel USB connector into the computer. Adjust the switch to “ONE”, plug the steering wheel USB connector with Xbox ONE console. When the Green channel LED’s on the steering wheel lights up, it is ready to be used.